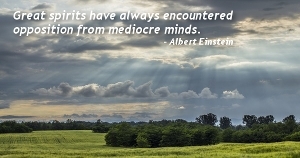 Famous quotes by Albert Einstein - Quoteopia! A hundred times every day I remind myself that my inner and outer life depend on the labors of other men, living and dead, and that I must exert myself in order to give in the same measure as I have received and am still receiving. All our science, measured against reality, is primitive and childlike-and yet it is the most precious thing we have.